Paul: Hunting for games news is a little like going on safari a hundred years ago. You spend days lost in the wilderness, stalking your prey silently through the underbrush, before finally bagging the prize you have worked so hard to claim. Then you transport it back overseas, have it stuffed by a professional and mount it where you can show it off to everyone. This week, I’ve started by bagging a particularly curious catch. Let’s look at the enormous and extraordinary City of Chaos! 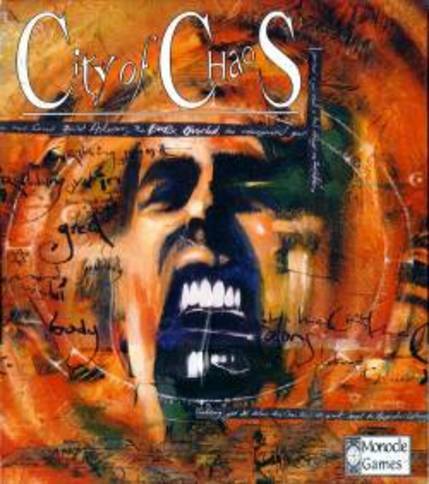 Originally released in 1996 (a time when the Spice Girls wanted to know what you really, really wanted and the N64 had kids twisting their fingers backwards to play James Bond), City of Chaos had a tiny print run of just a thousand copies. It was a huge and detailed mixture of fantasy roleplaying and complex procedural generation that could have you immersed in games that lasted all day. Looking at it now, it’s easy to see how it may, directly or indirectly, have hugely influenced such titans as Gloomhaven and Kingdom Death. Was it launched before it’s time? WELL NOW IT’S COMING BACK. 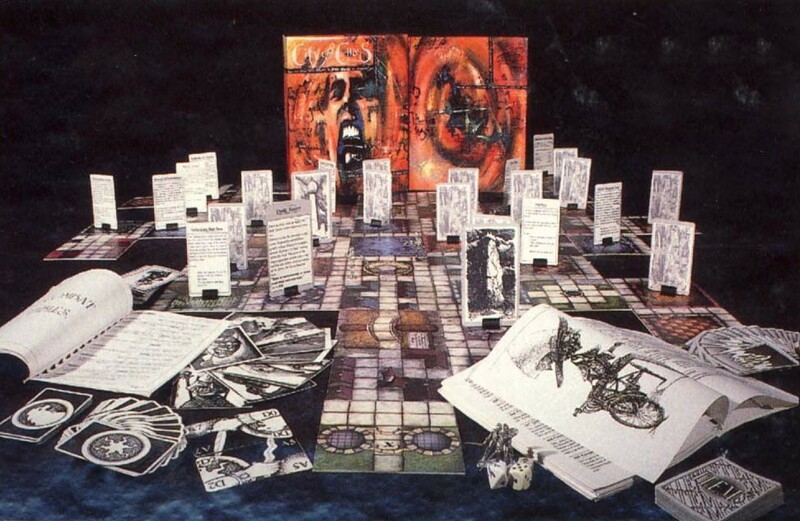 Publisher Ares Games have just announced a new edition, planned for 2019, where they’ll reprint rules that allow players to use their breath as a powerful weapon, the Tome of Chaos and its “hundreds of unique paragraphs and interactions,” plus all the many tiles that might make up the titular city of Byronitar, with all its unique and randomly-created locations and layouts. There’s no word yet of this being a Kickstarter, but I wouldn’t be surprised if they want to birth this beast by crowdfunding. 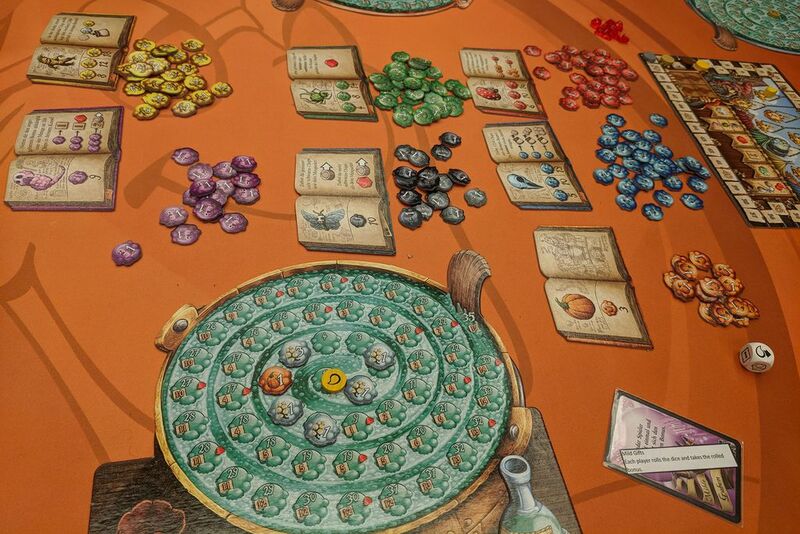 Over at BoardGameGeek, Eric Martin has been taking a look at the amazingly-titled Die Quacksalber von Quedlinburg, a game all about being a very, very bad alchemist. As we all know, bad alchemists mix potions by haphazardly throwing elements in at random, drawing them from an ever-growing bag of ingredients that they’re adding to each turn. The challenge is both to collect the best ingredients you can, but also to not push your luck too much during this blind-draw brewing process, lest you draw the wrong combination for your concoction and cause the whole thing to overflow (which seems more of a setback than if you actually make something dangerous). Die Quacksalber von Quedlinburg is up for the Kennerspiel des Jahres and is designed by Wolfgang Warsch, the same person who gave us The Mind, so I can’t help but be interested. 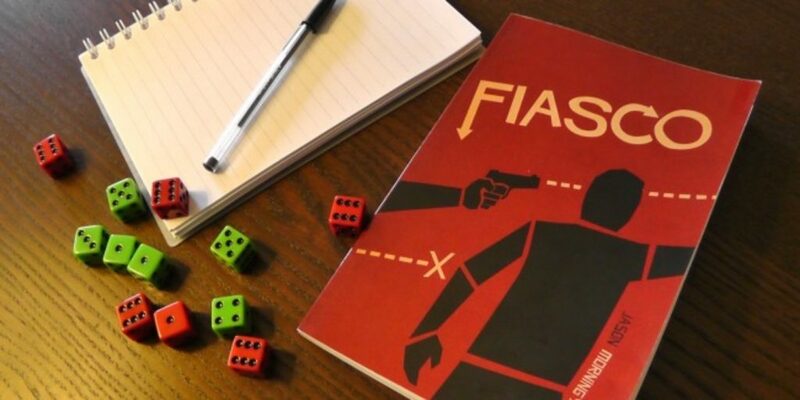 I’d once again like to give a respectful, appreciative nod toward BoardGameGeek’s latest Latin American games roundup. It includes the winner of Argentina’s King Alfonso Awards, Corona de Hierro, a game of political influence in medieval Italy, and Dwar7s Fall, a Brazilian game of tile and worker placement that recently won the family category of that country’s Prêmio Ludopedia. 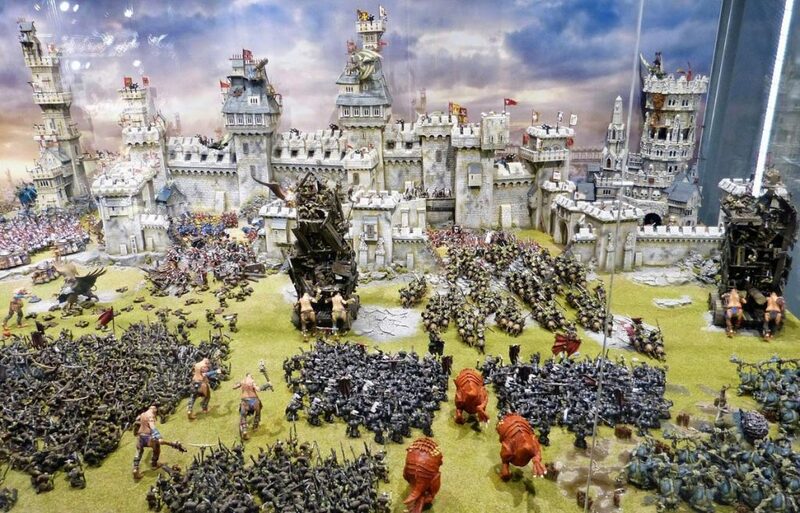 Board gaming has really taken off in South America and with it has come that same ravenous appetite for political intrigue, economic management, fantasy battles and even calf-pumping cycling. 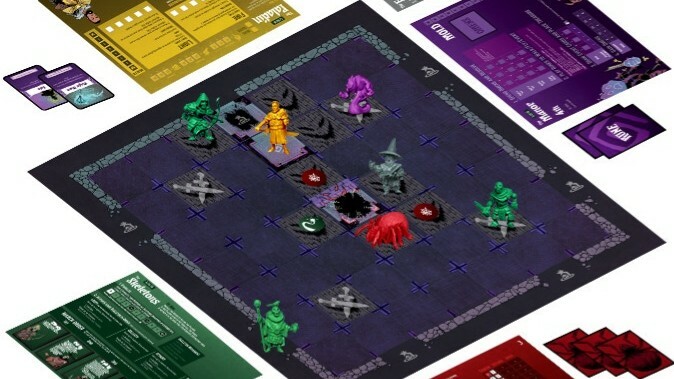 Over on Kickstarter, designer Patrick Leder is showing off Vast: The Mysterious Manor, his follow-up to the successful Crystal Caverns. Just like in that game, players take on roles that each have a unique objective, including an enchanter, a paladin, a team of skeletons, a spider and even the house itself, should they want to express themselves through a bit of window-rattling or floorboard-creaking. The Mysterious Manor is compatible with Crystal Caverns, with scenarios that claim to let them click together as comfortably as collegiate crabs, meaning Leder might be assembling some sort of gigantic, board gaming beast should he have any further ambitions for the series. 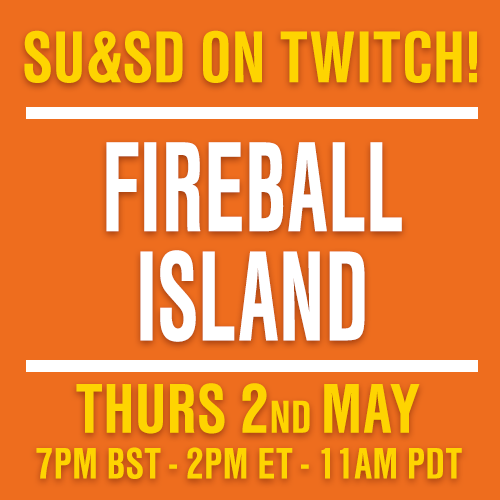 Finally, we have a tiny bit of news of our own to announce. Shut Up & Sit Down’s YouTube channel passed 100,000 subscribers this weekend, while we were out having a great time at the UK Games Expo, and so we’d like to thank you all for the tremendous support you’ve shown us over the years. 100,000 is a number that’s difficult to properly parse, especially as our YouTube channel still feels very new. We were on Vimeo for years and then hosted on other people’s channels first. I can’t imagine what 100,000 people look like, but after meeting so many SU&SD viewers this weekend, we got constant and wonderful reminders of what a friendly, kind and welcoming community you are. The numbers matter far less than the fact that you are all so terrific and contribute so much positivity to the hobby. 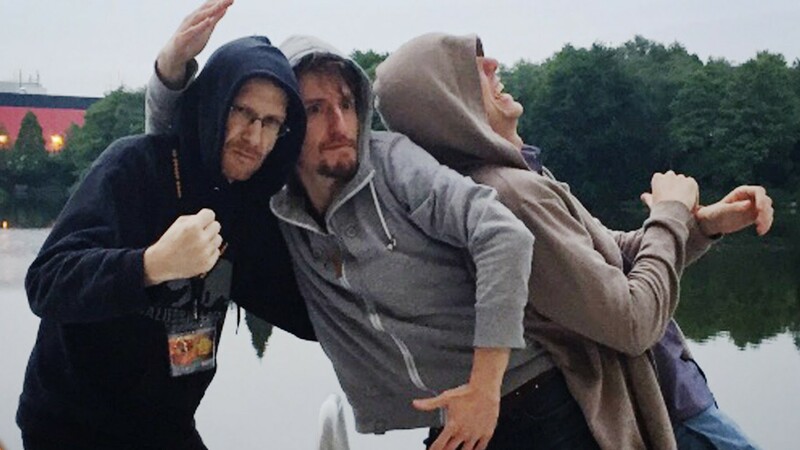 Thank you for choosing to watch Quinns fall in a canal, Matt try Future Chess and me play guitar on a balcony. It makes all the difference to have such a great audience and to work with such great colleagues.